The special flat wire harness simply passes from the driver side to the passenger side and you then simply plug in the adapter into the fuse block. No ground wire to install. Installs in minutes, simply remove the OEM dead pedal (very easy, 2 nuts) and install this one by drilling a 1/2 hole in your existing pedal. The special flat wire harness simply passes from the driver side to the passenger side and you then simply plug in the adapter into the fuse block. No ground wire to install. Zero drain starts in the last setting you left it. No fob, no wireless, no visor. The heavy-duty switch is in simple reach, press loud, press quite, how simple. You can even switch it prior to starting the car. You can use your dead pedal and you will just need to drill a 1/2" hole for the switch and install the switch and you have the same item as above. 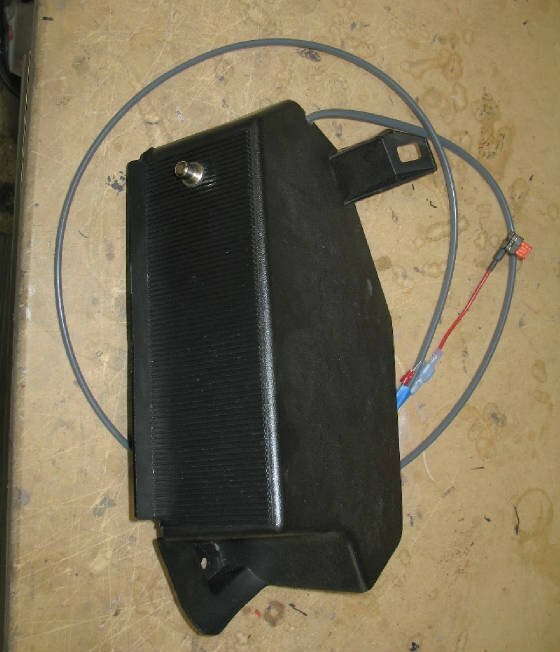 I provide a heavy duty switch, special flat shielded cable, Fuse taps and fuses and special exhaust fuse bypass spade. 10 min install.